The Minicraft KC-135 is a delightful little kit of a great subject, but the shape of the nose and the TF33 engines is very odd.This set fixes the probelm with a simple one piece nose-job, and a set of detailed TF33 engines on their proper pylons that replace the weird kit parts. 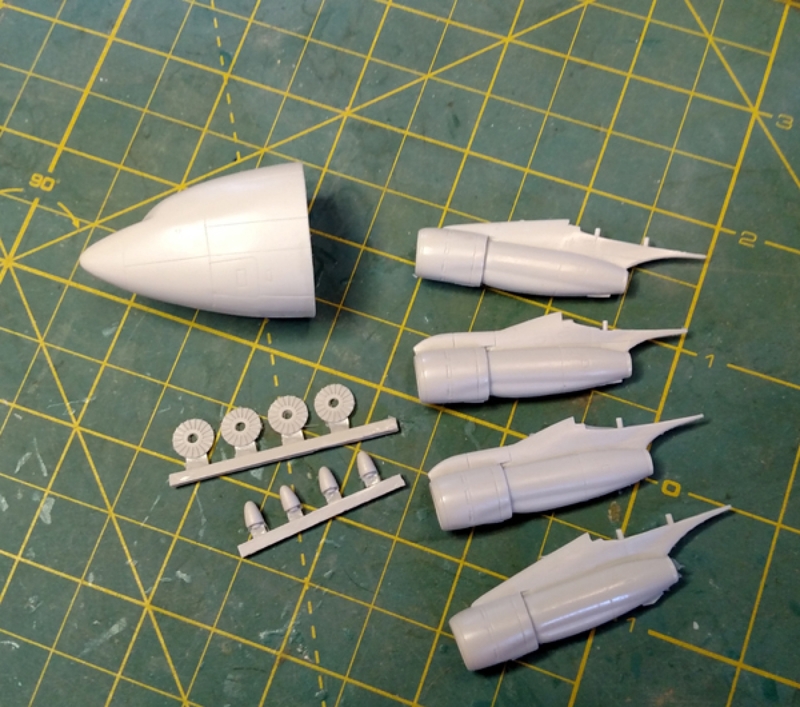 The engine faces and intake bullets are cast separately for ease of painting and wiht all the decals comingmout for this kit you may want more than one set.With thisdouble set you get two complete sets in one box, saving ten bucks and maybe a small tree somewhere. 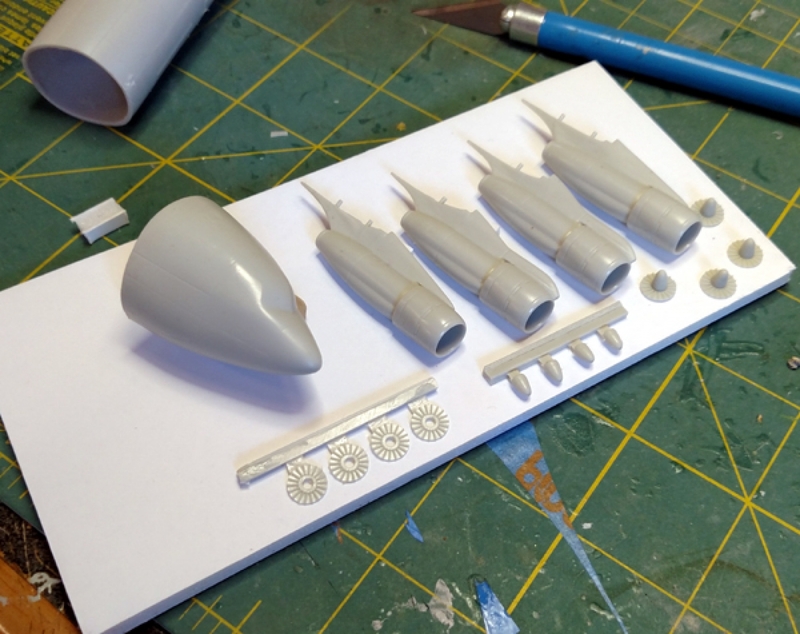 The Stratotanker is a justly famous and beautiful airlane, and this beautifully cast resin set will get yours looking right in a hurry.